A couple of weeks ago we, a local VT Audubon group, met in the evening to watch a Woodcock's mating dance. It was close to 8 PM and dusk was descending fast over the large bumpy field of faded grass, when we heard the first peenting. We moved closer to the source of the sound and stood in a half circle listening and waiting. The peenting continued at regular intervals sometimes closer, sometimes farther away indicating that the bird was walking about. 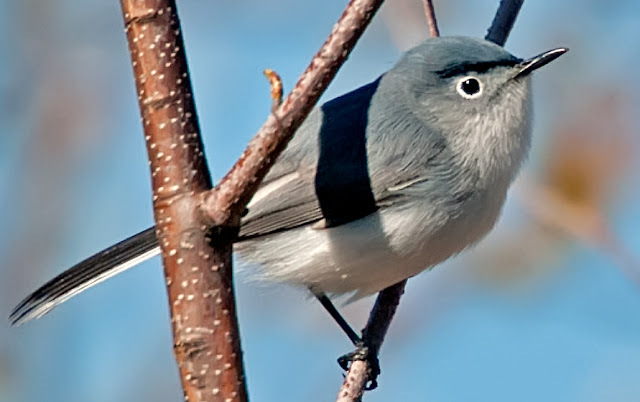 When you listen carefully you'll hear the following sequence: the thin nasal buzzy "peent" call preceded by a barely audible "tuko" sound, the twittering made by the wings during sharp turns, and the vocal chirping during aerial flight which becomes louder as the bird descends. The last part of the descent is silent. Then a soft fluttering of the wings as the bird lands. 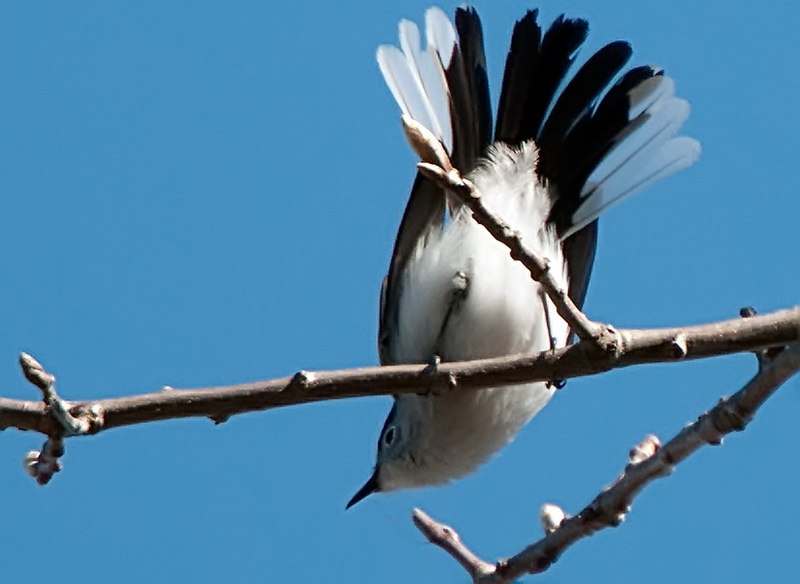 I also took some photos of the bird on the ground, rotating in place while peenting. 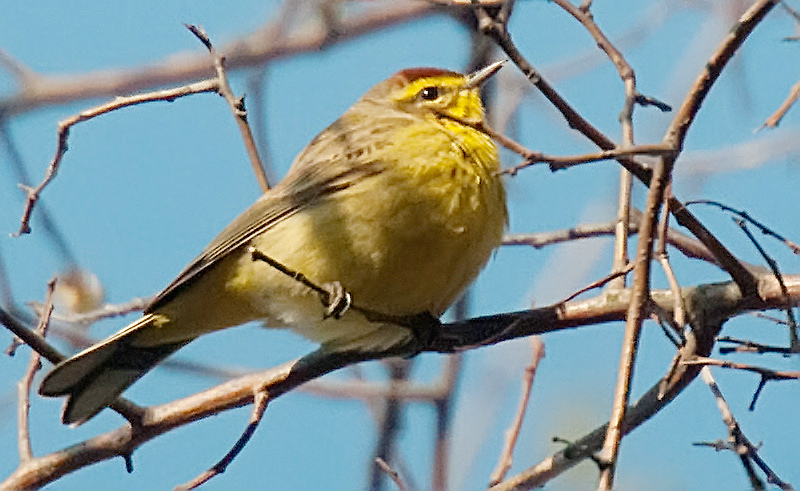 During the last week of April spring had arrived and migration had started. 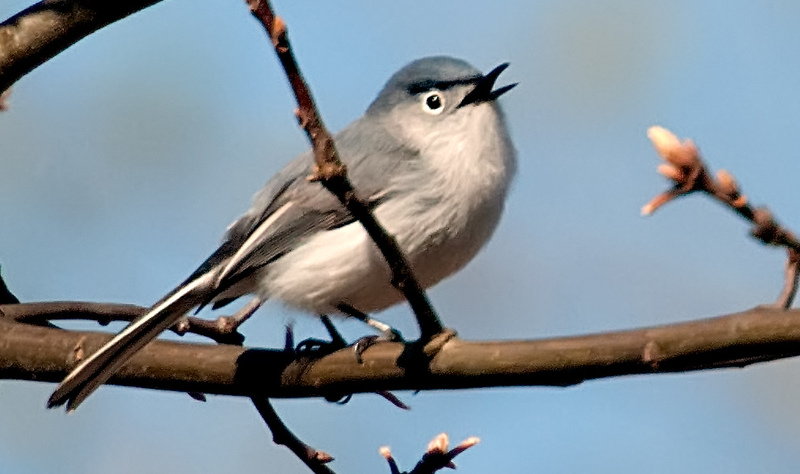 On a recent walk I saw and heard a couple of Blue Gray Gnatcatchers calling to each other across the trail. The male sports a uni brow which gives it that fierce look. A pair of Blacks and White Warblers were flitting through the trees, One of them was a male, the other probably an immature bird or a female. 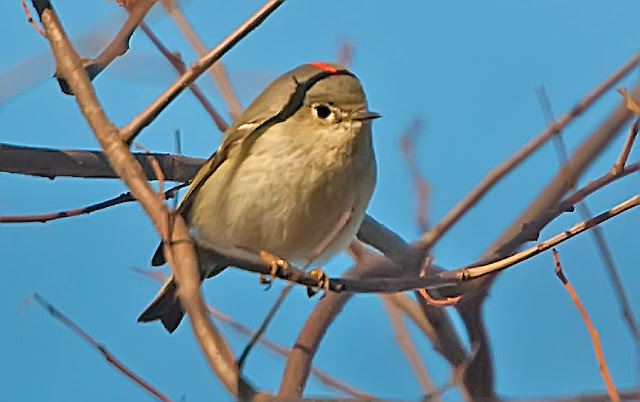 The Ruby-crowned Kinglet is considered a migrant in VT, but I have also seen it here during a Christmas Bird Count. This the first one since last summer. 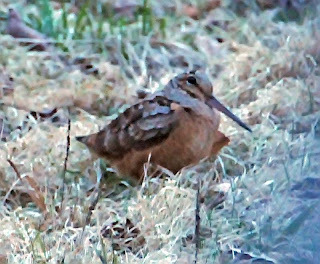 After reading Lillian Stokes enthusiastic review of the Canon Powershot SX50SH I had to have it, because its telephoto lens could zoom out from my current 400mm to 1200 mm, a feat that for my Nikon D300 would cost me thousands of dollars, and anyway would be way too heavy to carry. So I sold my Powershot S95 and bought this camera instead. I found out, though, to utilize this power I have to spend hours of practice. 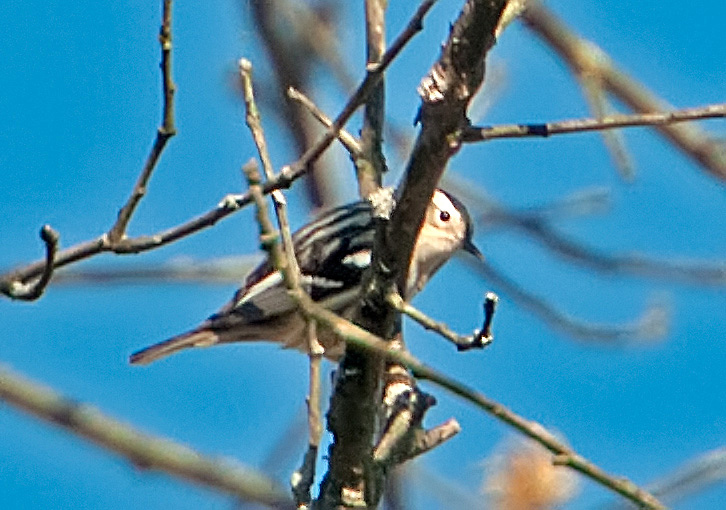 At such high power magnification with resulting small field of vision it's impossible to keep track of small birds on their foraging trips through the trees. So for that I went back to my large Nikon. Maybe I will yet the hang of it, anticipate, move faster... 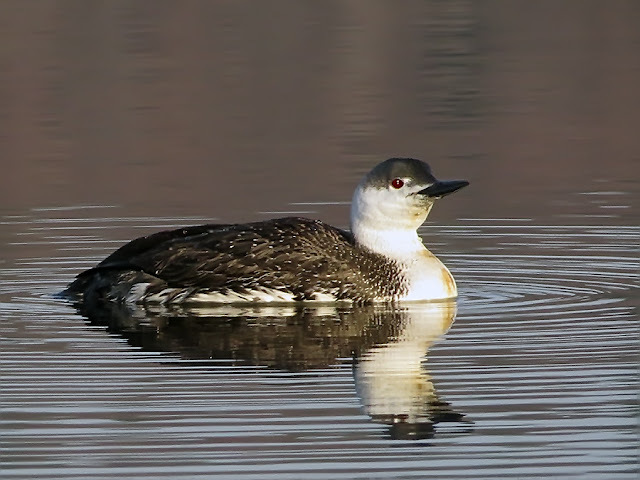 The camera works great for stationary birds, like the juvenile Red-throated Loon below which showed up on a sheltered bay of the CT River, or the Great Blue Heron about the snag his breakfast, or the Eastern Towhee below or the White-throated Sparrow. Have you noticed when the waiter brings the plates with food to the table, the diners' eyes pop out just like this? 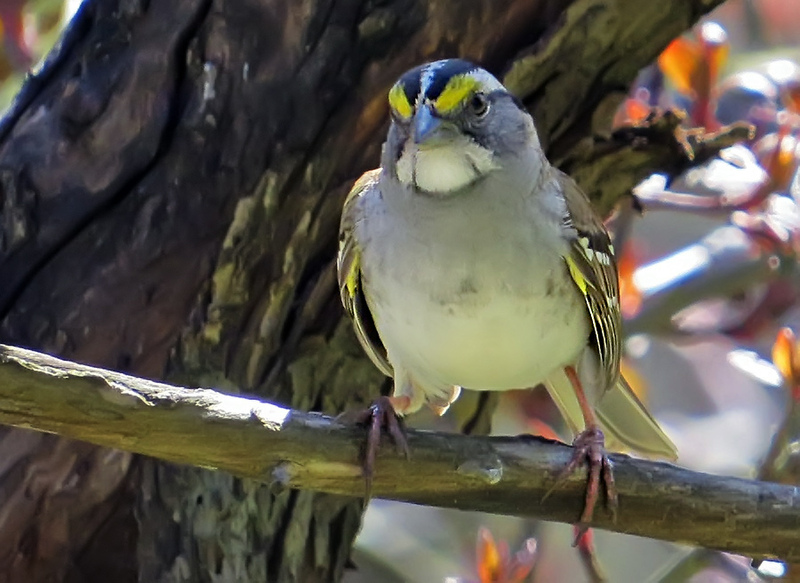 The backyard is teeming with White-throated Sparrows. I have been scattering black oil sunflower seeds on the grass to avoid having them all at once sitting gobbled up by grey squirrels. This White-throated sparrow has unusual bright yellow alula feathers at the shoulders, which I haven't seen on any of the illustrations in my guide books. 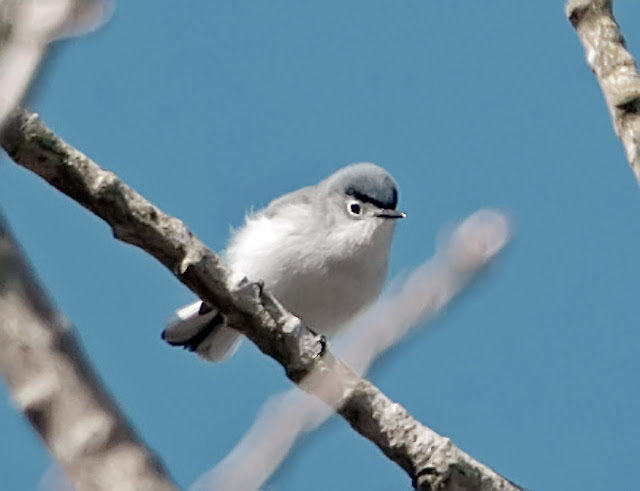 Alula feathers are often hidden; it's probably a variation, not a hybrid. 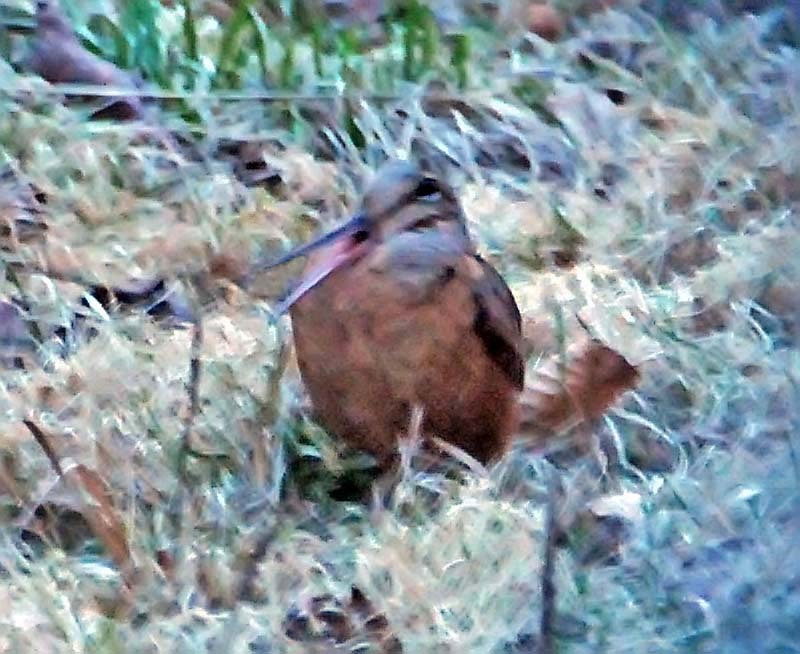 How nice you are getting photos of many birds with the Canon SX 50 HS point-and-shoot superzoom camera whose telephoto goes to 1200 equivalent, and even beyond. This little inexpensive (around $400) camera is not the same as a DSLR which can cost a whole lot more, and this camera takes getting used to because it is quite different than a DSLR. 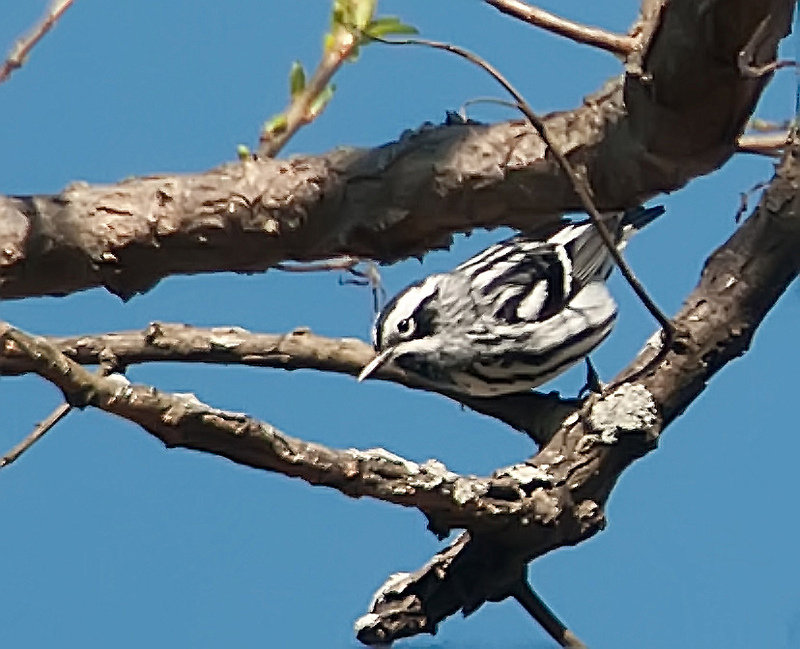 The SX 50 works best in good light with birds that are not moving as fast as warblers (even with a DSLR, warblers are a challenge to photograph). A lot of people are having fun with this camera. 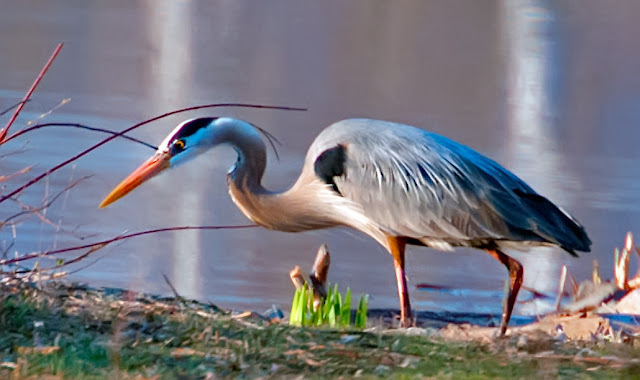 To find birds in the telephoto lens with the Canon SX 50, use the Framing-Assist Seek button on the side of the lens, this will zoom out the lens for a moment, allow you to refind the bird, then zoom in and you can take the photo. I use AV for tracking moving birds in trees, and use the AF-Point Zoom set to Off and the Servo AF set to On, the AF Frame set to Flexizone, Continuous AF On, and make sure and use the Continuous Shooting setting for faster shooting. The Canon SX 50 does very well on the Auto setting for photographing birds in many situations that are not as challenging as fast moving warblers. If anyone wants my tips for using this camera go to my blog and email me. 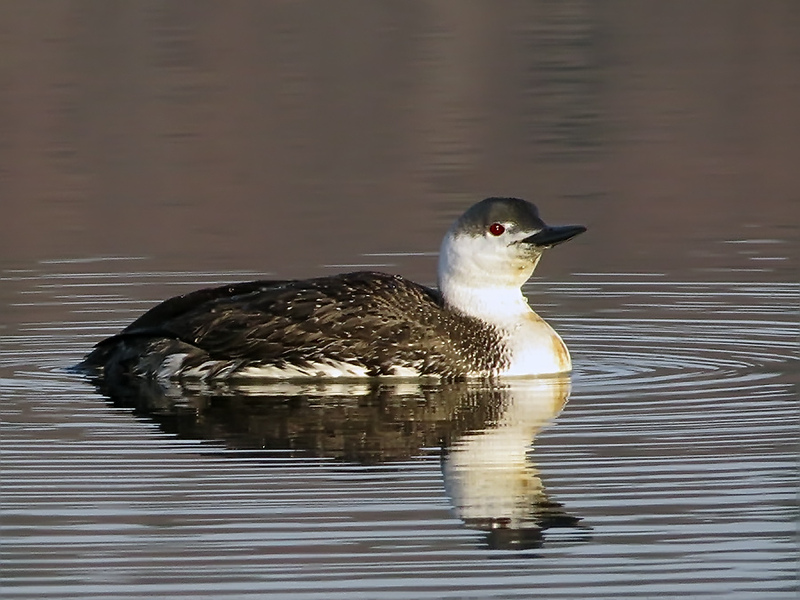 Happy Birding and Bird photographing! Beautiful spring birds featured in this wonderful post! 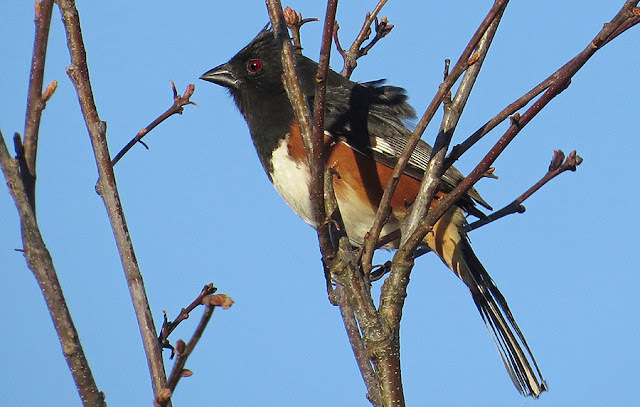 We are seeing many of the same birds in our area right now. Super photographs, Hilke! 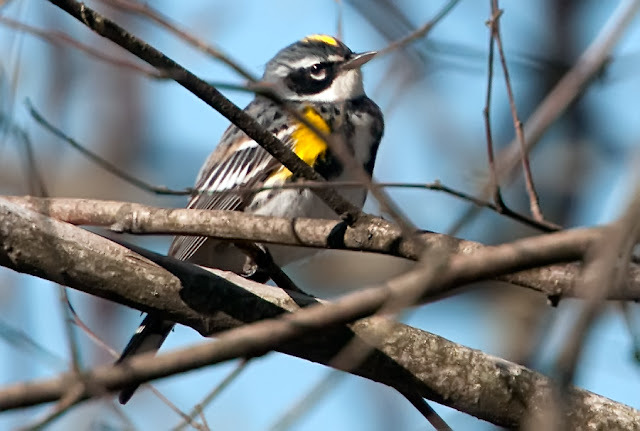 I just came across this post trying to find another White-throated Sparrow with a yellow alula like the one I just photographed today :) Now at least I'm not alone in finding one of these... though mine was of the "tan-striped" morphology of the WTSP.